Social Stories are made as a tool to help individuals on the autism spectrum to better understand the interpersonal communication so that they could interact in an effective and appropriate manner. Children with autism spectrum disorder (ASD) can sometimes have difficulty when it comes to mastering social skills, as well as communication skills . Social stories are used to model proper social interaction by giving a brief description of a situation using appropriate social cues, the perspectives of others, and a recommended appropriate response. The majority of these social stories for autistic individuals are used to educate and instruct on what to do in certain situations, as well as to acknowledge and praise them for a successful completion of a task.Social stories can also be though, in targeted ways to prepare individuals for social interaction and to prepare individuals with autism for public events. Social stories are generally used to prepare children with autism on how to appropriately respond to specific situations or events that they could experience in their everyday life. It helps kids with ASD in learning self-care and social skills. They help children with special needs understand their own behavior and to know the reasons why a person behaves in a specific way. They assist autistic kids in understanding emotions such as anger, sadness, and happiness, as well as how to effectively address them. They help children on the spectrum to easily cope with various changes and transitions in their everyday life, as well as with distressing or stressful events that they may experience. Social stories can be used to encourage special children to improve their strengths, as well as to give a positive feedback to them for behaving properly or for following instructions. Social stories serve as a personalized and customized behavioral intervention tool to help children on the spectrum learn how to behave properly in certain situations. The stories reinforce proper or correct behavior in autistic children. 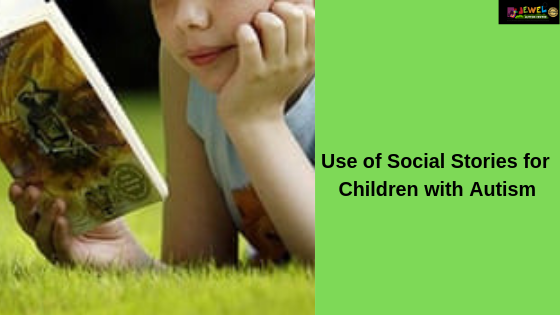 Social stories are used to teach autistic kids on how to join in activities, use their imagination, and play with others.